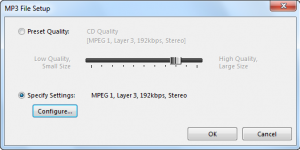 SoundTaste Audio Converter is a perfectly functional application to join & convert MP3 files in just a second. 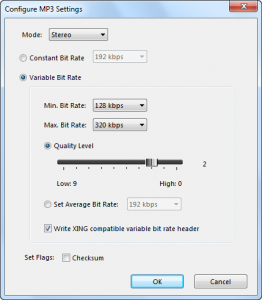 It allows you to choose one output format among WMA, MP3, WAV & OGG. There are well-defined presets & detailed configuration parameter settings for each output format. You can specify the output configuration parameters to make output quality more precise. 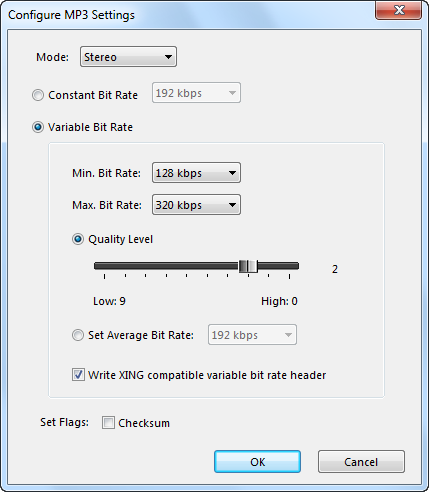 You can also customize the audio, such as audio compressor, audio encoder, audio bitrate, audio sample rate, audio channels, etc. to improve the output quality. The default parameters of every format work in most cases, but you can change them easily to best suit your needs. If you are not familiar with those terms and numbers, don’t worry – we provide the most frequently used quality presets. Just drag a slider to apply them. It provides the most frequently used quality presets. For professionals, there are also adjustable parameters.